In its latest initiative to reduce pollution, Paris City Hall plans to ban gas-powered cars by 2030, a step beyond a previously announced plan to ban all diesel engines in time for the 2024 Olympics. The noise of car engines revving around the streets of Paris might become just a memory. In its latest initiative to reduce air pollution, Paris City Hall wants gasoline-powered cars off the roads by 2030. 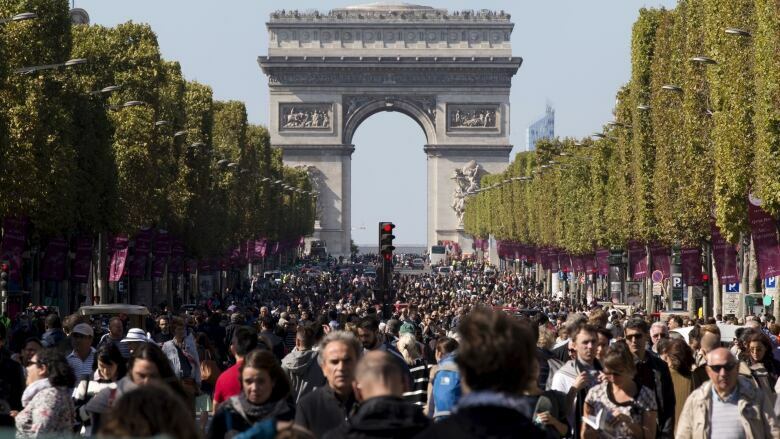 The controversial move announced Thursday follows Mayor Anne Hidalgo's plan to ban all diesel cars from the city by 2024, when Paris will host the Summer Olympics. Speaking on France Info radio, the Paris deputy mayor in charge of transport, Christophe Nadjovski, said "we have planned the end of thermic vehicle use, and therefore of fossil energies, by 2030." Many Parisians don't own a car, but Hidalgo still has angered many of them with her efforts to make Paris a greener city, notably by adding cycling paths that have slowed vehicle traffic along the Seine River. Her detractors have accused her of waging a war against cars. Wary of those critics, Paris City Hall issued a statement Thursday insisting the 2030 deadline isn't a proper ban, but "a feasible and realistic" goal. The statement added that Paris officials would keep discussing the issue with residents and car makers in the coming months. Paris has faced rising air pollution in the last few years. Some pollution spikes have been so bad they forced City Hall to bar half of all cars from travelling and to make public transportation free for several days. Hidalgo has been seeking to reduce pollution with a series of measures. She has launched a program banning traffic from the famed Champs-Elysees Avenue once a month, introduced rental bicycles in the streets as well as a fleet of electric cars to encourage residents to leave their polluting vehicles at home. In September 2016, Paris authorities decided to close a 3.5-kilometre downtown road and transform it into a promenade. A year later, the body measuring air pollution said the move had no significant impact on residents' exposure to carbon emissions across the whole city. With her ambition of taking gasoline-powered cars off the Paris roads by 2030, Hidalgo wants to go faster than the French government. Environment Minister Nicolas Hulot has said he wants to banish from France all fossil fuel cars by 2040. "This government goal affects the whole French territory, rural zones included," the Paris City Hall statement said. "If we want to achieve this, it implies that the end of diesel and gasoline should take place several years in advance in urban areas, and particularly in big cities."